Beaches in Colorado? Yes they do exist. Top 9 Colorado Beaches. When you think of Colorado breathtaking views of the Rocky Mountains tend to come to mind, not beaches, yet beaches are one of the states best-kept secrets. Colorado beaches are unlike those you’ll find in coastal areas though. Yes, Colorado beaches are truly unique. Think clean, crisp water straight from the mountains. Stunning mountain views from every angle. Secluded coves and inlets. Few crowds. Camping on the water. And so on… Whether it’s sunbathing, camping, watersports or building sandcastles this list Colorado beaches will provide plenty of adventure and relaxation. 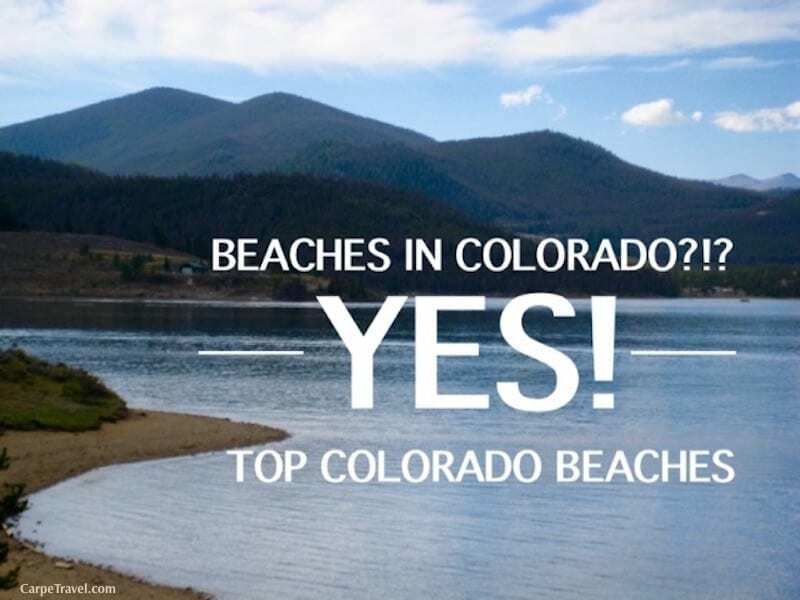 Have you visited any of these Colorado beaches? Have others that should be added to the list? Let me know in the comments. Boulder Reservoir (Boulder). 700 acres on the Boulder Reservoir invite visitors to enjoy all aspects of this multi-use recreation facility. Runners, walkers and cyclists who work up a sweat on the trails surrounding the reservoir can take a dip in the water to cool off or relax on the sandy beaches. In the warmer months, swimming as well as paddle boarding, boating, water skiing, fishing and wildlife viewing keep the reservoir buzzing. Chatfield State Park (Denver). Chatfield State Park’s reservoir is a beautiful location to bask in Colorado’s warm rays. And soak in the view of the Rocky Mountain foothills. This state park is one of the most popular destinations in metro Denver, with plenty of activities to suit your beach-lubbin’ fancy. 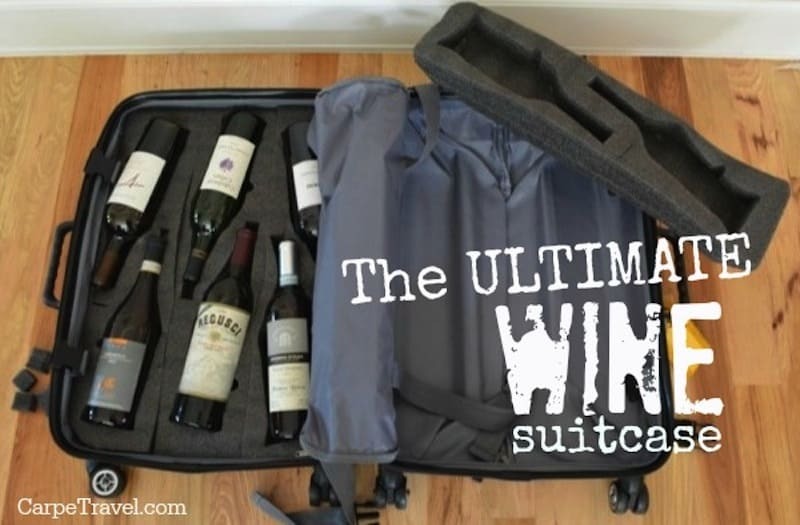 Whether it’s barbecuing, wildlife viewing, hiking or water sports. If beach camping perks your interest, Chatfield doesn’t disappoint. All 197 campsites are within walking distance of the water and come equipped with picnic tables and grills. Dillon Reservoir (Frisco). 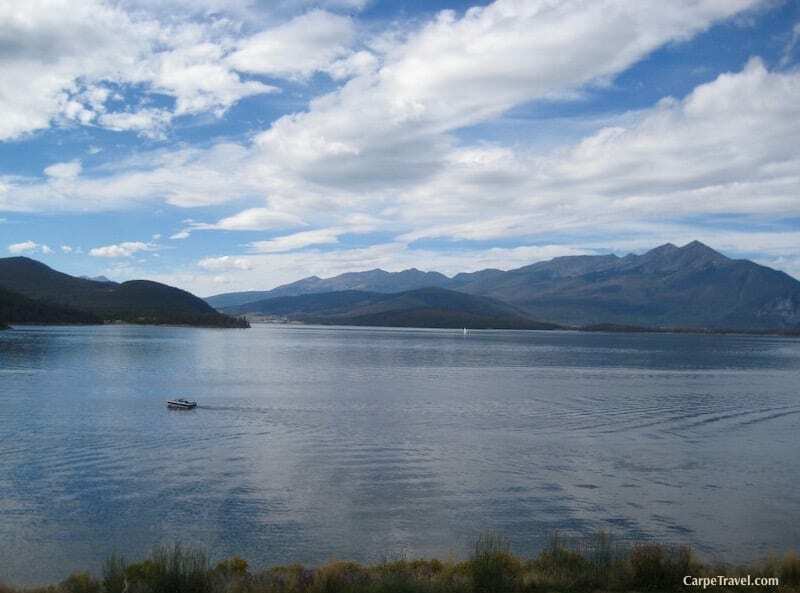 The Frisco Bay Marina at Lake Dillon allows visitors to enjoy flat-water activities such as boat rentals and guided boat tours, canoeing, kayaking, fishing, sailing and stand-up paddle boarding, from early June through mid September. Additionally, with 25 miles of shoreline surrounded by mountain peaks, the sandy beach is ideal for catching rays. Jackson Lake State Park (Orchard). An oasis amid Colorado’s eastern plains, Jackson Lake’s warm, South Platte River-fed water and sandy bottom beaches welcome swimmers and water skiers looking to cool off each summer. 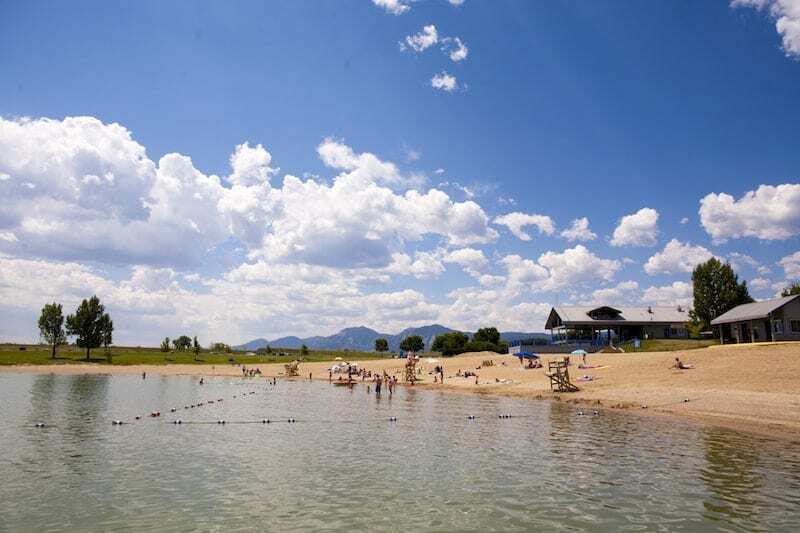 Chosen as one of the “Top 15 Park Beaches” by Reserve America, Jackson Lake is a must visit spot if you’re vacationing in the area or just passing through Colorado’s eastern plains. Medano Creek at the Great Sand Dunes National Park and Preserve (Alamosa). 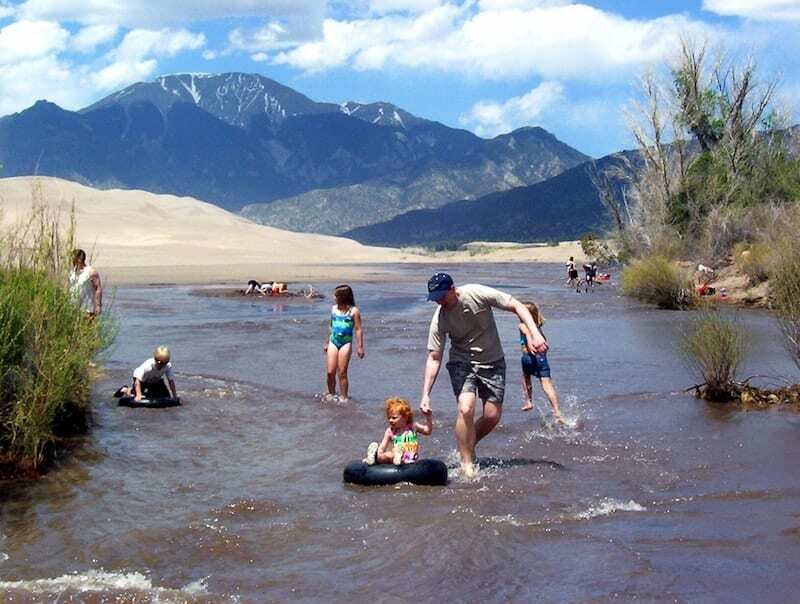 The Great Sand Dunes are the tallest dunes in North America and while many visitors enjoy spending their time exploring the sandy hills, in mid-May through June, Medano Creek allows guests to cool off in the fresh spring runoff. Guests can enjoy non-motorized and non-mechanized activities in the creek, including splashing, surfing, wading, skim boarding, floating, sand castle building and sand sculpting. Ridgway State Park (Ridgway). Ridgway State Park allows for fantastic views of the San Juan Mountains as visitors float on the water. The park’s popular campgrounds and beautiful reservoir are family favorites as the beach features playground equipment and there’s always room to pitch a volleyball net. Blue Mesa Reservoir (Gunnison). In the summertime, Blue Mesa Reservoir’s sparkling sapphire waters and shoreline are bustling with recreational activities. Popular pursuits include sailing, power boating, fishing and water skiing. Windsurfing is favored among those looking to get a workout on the water. 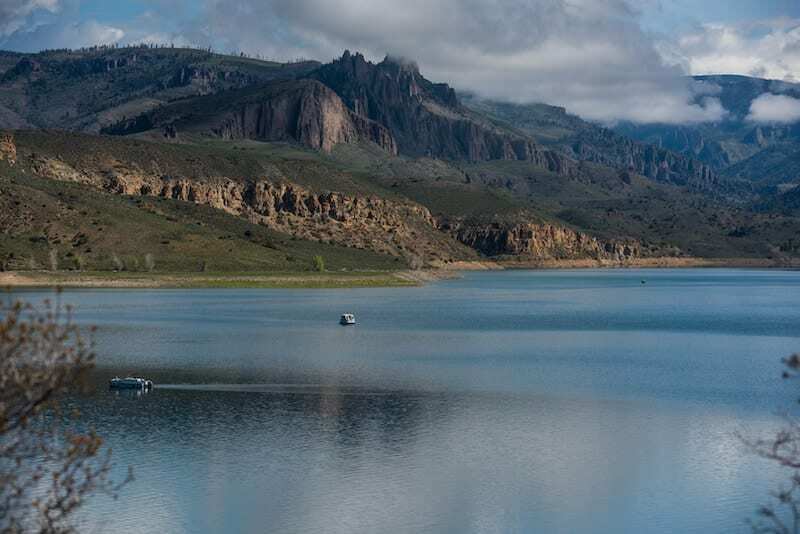 Blue Mesa Reservoir is Colorado’s largest body of water and home to the largest Kokanee Salmon fishery in the country making it an angler’s paradise. John Martin Reservoir State Park (Hasty). A peaceful paradise in Colorado’s southeastern plains, John Martin Reservoir State Park is located where mild weather allows for plenty of beach days throughout the summer. Those looking for a vacation on the water can reserve a campsite along Lake Hasty. The nearby reservoir provides uncrowded boating, waterskiing and spectacular conditions for a wide variety of wind water sports. Grand Lake (Grand County). Located just outside of Rocky Mountain National Park, Grand Lake is where pristine shores meet the Rocky Mountains. 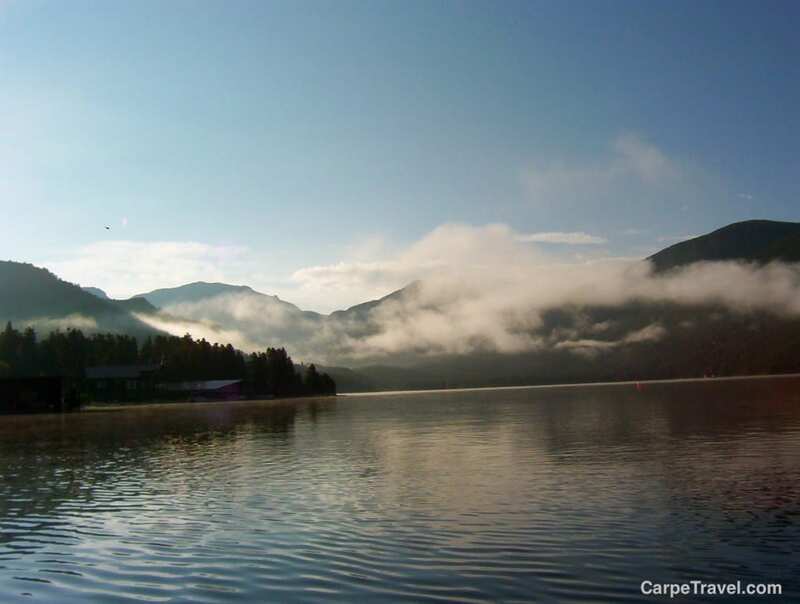 From the sandy beach at Grand Lake, visitors can swim, fish, kayak, paddle, row or just kick back and watch the people and the waves. Guests can either rent or bring their own ski boats, pontoon boats, pleasure boats or fishing boats to enjoy a day on Colorado’s largest and deepest natural lake. Hey thanks for the tip. Next time I’m in Bangladeshis I’ll make sure to check it out. Have you been to any beaches in Colorado, within the United States? This is awesome! Colorado is a beautiful place with so much fun to offer everyone! Glad to see you enjoyed yourself there! Thanks for the info! We’ve traveled in Colorado for a total of 3-4 weeks but never got around to seeing the beaches. The water is probably so much colder than what we’re used to (in the mediterranean sea) but the views are amazing. No hocus pocus here. There’s a ton of great, hidden (lake) beaches in Colorado. Hi, there, thank a lot for your outstanding suggestion. Medano Creek looks very nice. That’s exactly what we are looking for. Beaches in Colorado? Who knew? I guess I have to make this a summer destination as well as a ski trip. Thanks for the overview and great pix. Yes! Colorado is so much more than a winter destination. Summer is awesome! Hi Elaine, Colorado is a beautiful place to be. Water is cold but it’s worth to try. Medano Creek is nice place to stay for a while. I like their non-motorized activities, especially wading. Thanks for tips. Yes, Medano Creek is great!!! Thanks for stopping by. Who knew there were such beautiful beaches in Colorado! Looks like some hidden places I’ll have to venture out to one day. Thanks for sharing! i wish i can visit here next year!! thanks for sharing cool information!! Would like to visit but hard to think beaches when I’m sitting on white sand on Treasure Island Beach Florida.